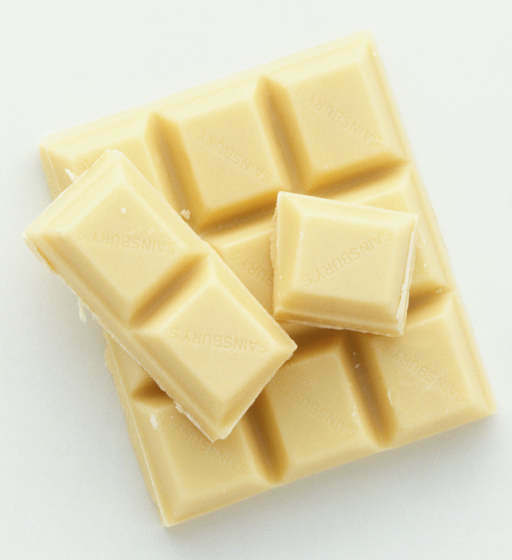 September 23rd is National White Chocolate Day! According to the FDA, to be called ‘chocolate’ a product must contain chocolate liquor, which is what gives it the biter intense chocolate flavor (and color) to dark and milk chocolates. White chocolate contains cocoa butter, milk solids, sugar, lecithin and flavorings (usually including vanilla). Cocoa butter is the fat from cocoa beans, extracted from the cocoa beans during the process of making chocolate and cocoa powder. Cocoa butter has very little ‘chocolate’ flavor.